The Chiefs have inked right tackle Barry Richarderson to a one-year deal, this despite the fact he can’t join the team till Thursday. Starting right tackle Barry Richardson, a restricted free agent, signed his one-year contract offer, and will join the Chiefs at training camp. 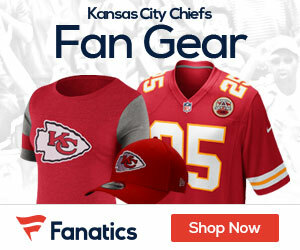 Richardson cannot begin practicing with the Chiefs until Thursday. Bobby Greenwood has been playing right tackle in his absence. The Chiefs only remaining restricted free agent is cornerback Brandon Carr.